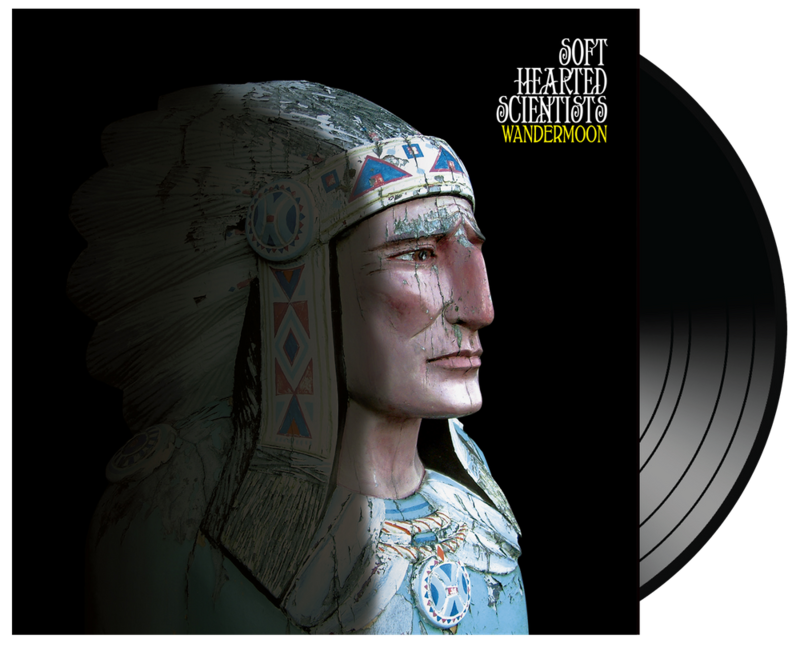 SUGARBUSH RECORDS Rare Vinyl Mail Order: Soft Hearted Scientists - "Wandermoon" buy it here on vinyl, free postage! Soft Hearted Scientists - "Wandermoon" buy it here on vinyl, free postage! Another wonderful album from these modern day Welsh Psychsters. "Cardiff-based Soft Hearted Scientists christened their fourth album with their own word for escape from the drudgery of modern life. A wide-eyed trip through the valleys of South Wales, Wandermoon is often reminiscent of those other Welsh psychedelicists Super Furry Animals at their most whimsical. While the swirling climate change lullaby Tornadoes in Birmingham is gorgeously simplistic, it's Road to Rhayader, with its martial percussion and allusions to "flowers floating in the air," that really evokes the green green grass of home. "— Robin Turner,Q Magazine. Limited on vinyl, only £19.99 including postage. Buy it now!